Harris was born in California's East Bay, the daughter of a Tamil mother, Dr. Shyamala Harris, a breast cancer specialist who came to the United States from India in 1960 to study at the University of California at Berkeley, and a Jamaican American father, a Stanford University economics professor. She earned her law degree at UC Hastings College of Law, earning a position Alameda County District Attorney's office after graduation. In 1990, she was promoted to Deputy Attorney for Alameda County. During her eight-year tenure as deputy she specialized in prosecuting cases involving child sexual assault and other violent crimes. She then became Managing Attorney for the Career Criminal Unit in the Office of San Francisco District Attorney. 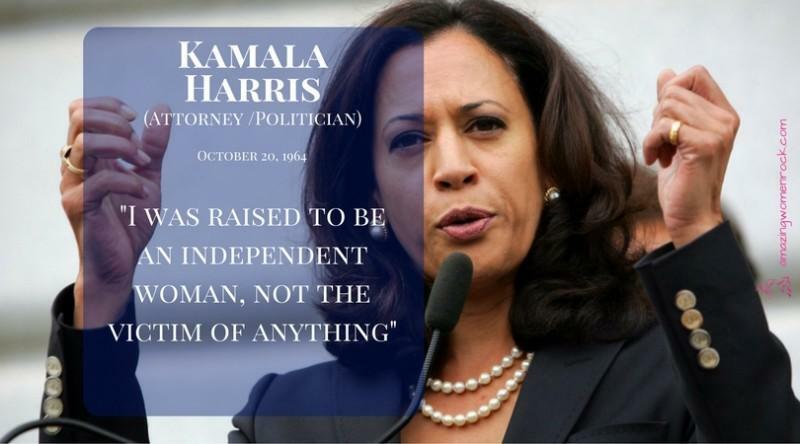 In 2011, Harris became California's first female, first black and first Asian American attorney general, as well as the first Tamil attorney general in U.S. history.